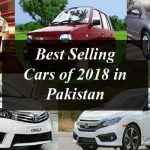 Home » Technology News and Business Updates Of Pakistan » United Bravo Booking Starts Now: Here is How You Can Book 800cc Car? United Bravo 800cc car become official in Pakistan and now the booking starts. United Bravo Booking Starts Now: Here is How You Can Book 800cc Car? United Motors has officially launched the most awaited 800cc Bravo car in Pakistan on 8th September 2018 in a ceremony in Faletti’s Hotel Lahore. 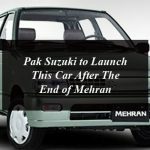 The company has granted the dealership for the 800cc car in all across paksitan on 5th October, 2018 and it’s a time to book the one for you. 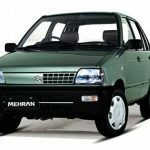 United Bravo 800cc car has thrown the direct competition to the Suzuki Mehran as it includes advanced features and technologies. For all those who want to purchase the United Bravo 800cc car there is a good news and that is the booking for the hatchback is started all across the country and you can book it by visiting the authorized dealer of United Motors. The price of United Bravo is Rs.850,000 PKR and it is offered in three colors options including White, Grey and Silver. Only the limited numbers of United Bravo 800cc Car are available for booking. The price is Rs. 850,000 PKR. The advance booking fee is Rs. 200,000. You need to pay the advance fee at the time of booking in the form of a pay order in favor of United Motors Pvt Ltd. The rest of the amount will be paid within the 15 days before the delivery of the vehicle. If you remain unable to pay the rest of the amount within the prescribed limit the United Motor Company LTD has the right to cancel your order. The customers will get the delivery of the booked car in December by applying now. Customers need to appropriately filled and signed booking form. Advance payment of Rs. 200,000 in form of Pay order for the favor of United Motors. Photocopy of CNIC or purchase order (in case of companies). 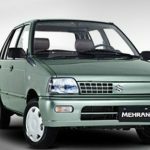 The government has banned the non-filers from buying the vehicles in Pakistan, so you have to provide evidence of being a filer. An advance tax of Rs 7,500 (filer) is to be added in the overall price of the vehicle. 1-Km off. Multan Road Kot Radha Kishan Road, Phool nagar lahore, Pakistan. 53, Hasaan Parwana Colony, Azmat Wasti Road, Chowk Dera Adda, Multan, Pakistan. CB-353, North Allah Abad Peshawar Road, Rawalpindi Cantt. Pakistan. For more information you can visit the United Motors Official Website. United Bravo 800cc car become official in Pakistan and now the booking starts. United Bravo Booking Starts Now: Here is How You Can Book 800cc Car?